So I decided to kick-off the revival campaign of my blog by giving you a little tour of places I’ve dined at and dishes I enjoyed most: including some of my regular favorites, recommendations by friends and amazing discoveries completely by accident. This is part one of this series of write-ups, so make sure you #watchthisspace for the sequels. My very favorite tapas in town are currently served at Barrica Tapas Bar in the lively foodie area around Charlotte St. First discovered through a friend’s birthday dinner couple of years ago this became my top destination every time tapas cravings kick in. An impressive list of Spanish wines offers great pairings for each dish on the menu, including a larger than average choice of wines and sherries by the glass. The undoubtedly best potatas bravas in town! 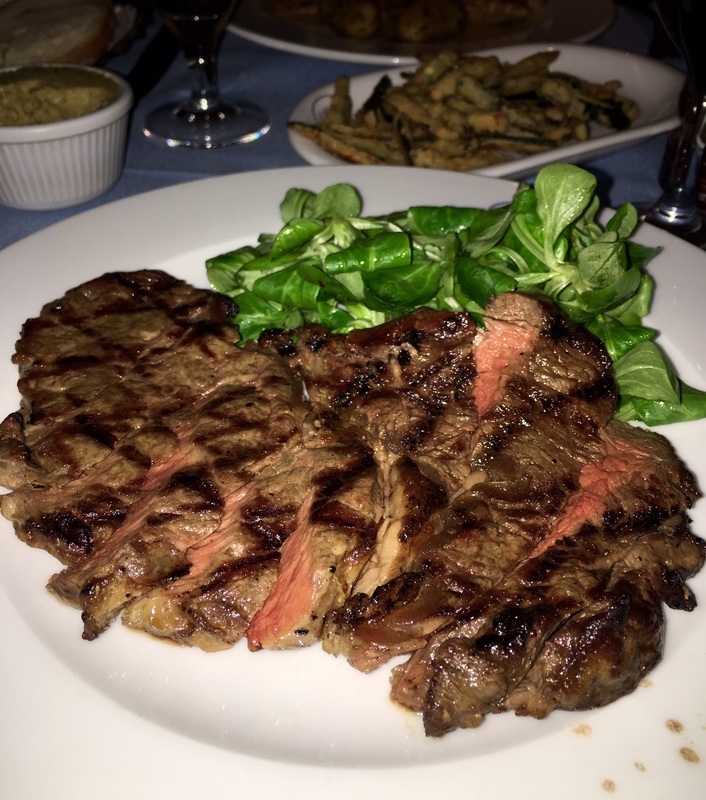 In terms of Italian restaurants, I used to be faithful to a couple of places in SW1 area, in particular the cosy Como Lario just off Pimlico Road and Caraffini near Sloane Square (their fresh scallops with creamed spinach & mushrooms au gratin are so beautifully presented that they deserve the title picture spot in this post). And again, thanks to a recommendation of dear friends (who btw had their first date there and are happily married in the meantime) I broadened my Italian eateries horizon by adding another favorite to the list: La Famiglia in the World’s End part of Chelsea. They offer quite an extensive menu that includes a seasonal selection of dishes. A food menu that is longer than average is something that would normally make me question the quality and freshness of ingredients, but I have never been disappointed La Famiglia. Makes me hungry for Tapas and a nice fino…!